Betfair Poker are giving players half a million reasons to drop by their poker room this Sunday. With $500,000 guaranteed, this is one of the biggest tournaments by a European operator. Forget the DIY. Forget rushing to the shops to catch a last minute January sale bargain. Forget washing the car, walking the dog and visiting the in-laws. This weekend, you should... no, you NEED to be at your computer and registered for the $500,000 guaranteed tournament at Betfair Poker. - $53+$3 MTT - One seat for every ten players. - $70+$7 MTT - One seat for every eight players. - $70+$5 STT - One seat for 1st place. 2nd and 3rd win $85. - $110+$7 STT - One seat for 1st place. 2nd wins $130. There's more too. Betfair are guaranteeing a seat to the EPT Deauville event for the final table, should 999 players or more be registered for this tournament. Not only could you scoop around $100,000 for winning this tournament, you could take home even more by winning the prestigious EPT Deauville tournament. The half million guaranteed tournament has 20 minute levels with 2,500 starting chips. Start time is at 19:00 GMT on Sunday 22nd January. 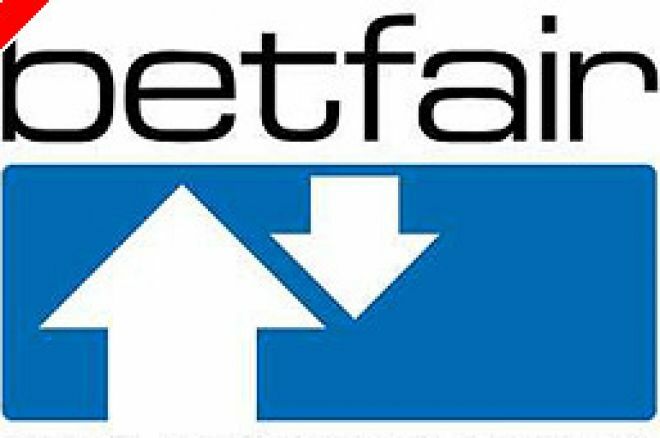 Ed note: Remember folks, join Betfair Poker today and get an exclusive £50 bonus. Valid for new players in January only.